6. Is there room for improvement? It was an exciting flagship season this spring, yes, but once the dust has settled, there was only a handful of devices that left lasting impressions. On top of that shortlist is the tri-eyed beast that is the Huawei P20 Pro and it was high time we do a long-term review of this one while using it as a daily driver. The P20 Pro stole the show a few months ago by being first to employ three primary snappers on the back of a device co-developed with Leica, with native 3x and hybrid 5x zoom, handheld long-exposure shots, among others high-tech features. The phone has also a unique and instantly recognizable paint job, and a flagship-grade AMOLED screen - even if with a notch. We launched the long-term review section not that long ago, but it's already proven to be useful for the readers, and, well, fun for the writers. So, we assigned the Huawei P20 Pro to one of our editors, and two months later the review is here. this particular editor had to give up on the iPhone X to test the Huawei P20 Pro but it seems the trade-off was worth it. The phone turned out to be a trusty sidekick and saw a lot of action with calls, games, business trips, lots of sightseeing, fun times, organizing hassle, and everything in between. 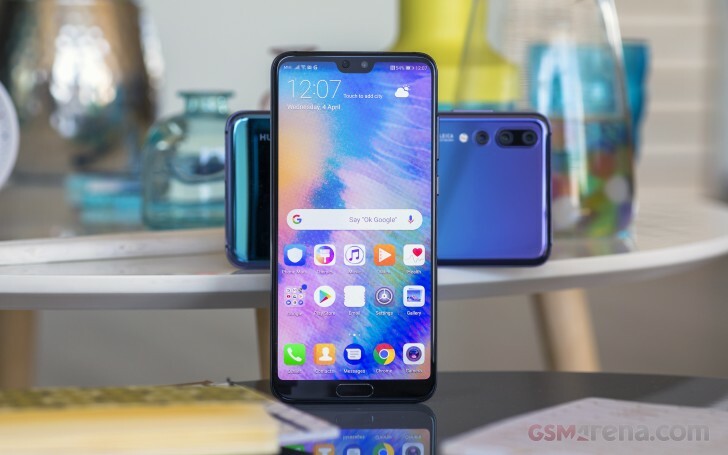 During those weeks Huawei has updated the P20 Pro twice with security patches, UI refinements, and even new features - something you don't see every day even from reputable makers. Off to a good start, then. Huawei's partnership with Leica has proven the cornerstone for a generation of flagships and the Huawei P20 Pro managed to innovate the smartphone imaging skills yet again. But not everything is about the snappers as even the best of camera skills can be ruined by lack of attention elsewhere. And we made sure this long-term review won't end up being just another camera test. The summary of our two-month journey with the Huawei P20 Pro follows right after the break.